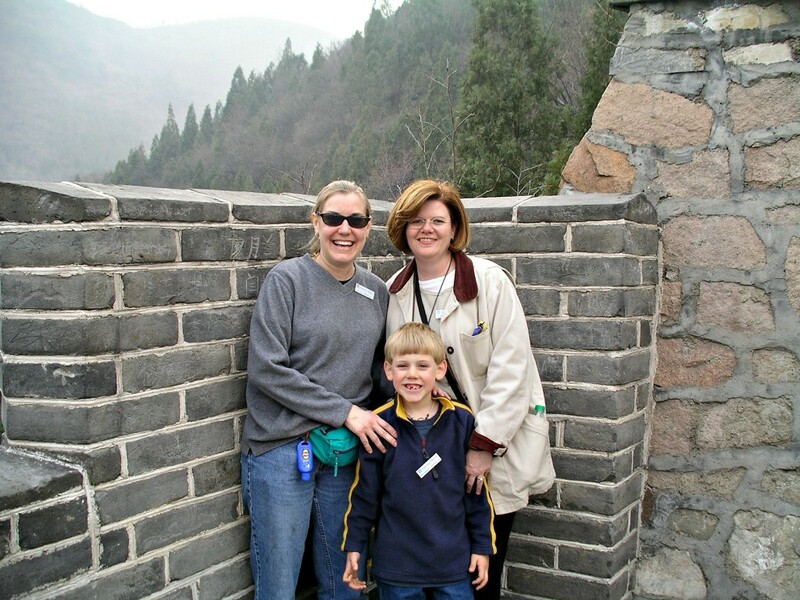 More than eight years have passed since I tried climbing the Great Wall of China. Sometimes, it’s still hard to believe I did it at all. Until this trip, to bring home our daughter, I never would have considered such a long flight. Because of her, I overcame a lifelong fear of flying and the world opened up. Of course, our world was overwhelmed by our diva daughter, her music, dance and incredible smile. Today, in honor of her ninth birthday, here’s a look back at what we did our last day without her! 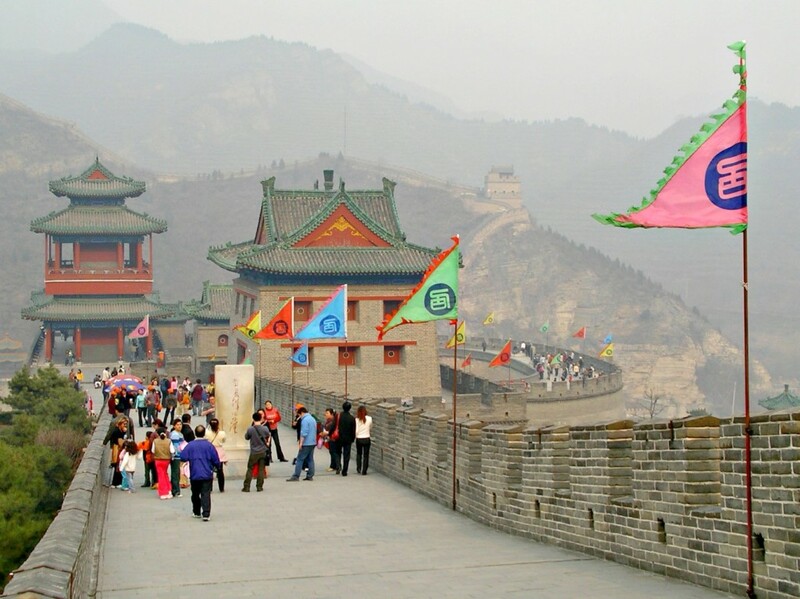 This section of the Great Wall called the Juyongguan Pass, near Beijing, is well preserved and quite popular with tourists. The section closest to the “gate” is easy to navigate and offers great views — when the sky isn’t quite so smoggy! Because of the severe smog at the Great Wall of China, I was unable to climb far. The effort sent me into coughing fits. My sweet boy, Ben, couldn’t climb much either. The uneven stairs varied from a couple inches to as high as his waist. He opted to hang out with his two favorite ladies while the rest of the men scampered off as far as they could go. Looking down from the colorful gate house to the river and the wall as it disappears off into the distance. The blue roof below is a shopping area — just for the tourists! The Great Wall, was listed as a World Heritage site by UNESCO in 1987. Like a dragon, it winds through deserts, grasslands, mountains and plateaus, stretching approximately 8,851.8 kilometers (5,500 miles) from east to west of China. More than 2000 years old, some of the wall has disappeared, worn down by centuries of rain, snow, wind and ice. Badaling Great Wall is is the best preserved section of the Great Wall, built during the Ming Dynasty (1368-1644). Its location, only 37 miles from Beijing, make it the most visited section of the Great Wall. 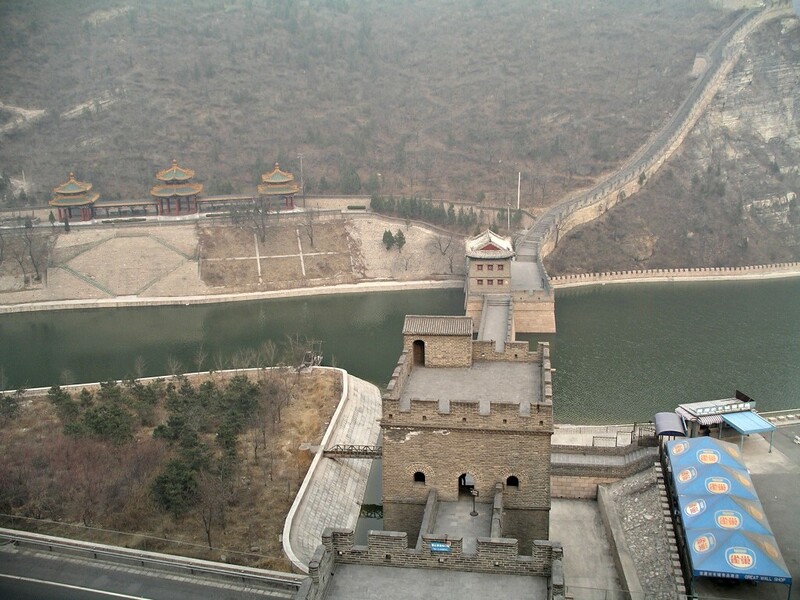 This section is easy to get to by public or private transportation from Beijing. The Great Wall of China is not actually one continuous wall, as so many believe, but is a series of walls built near the Mongolian border over a span of centuries to protect China from northern invasions. Thousands of Chinese laborers died during construction and are buried within the wall. More than 2,000 human remains have been discovered to date. 1. Know the weather. There are no rest areas on the Great Wall — and there’s not much shelter either. 2. Dress for the hike. Hiking the wall is incredibly strenuous. Uneven stairs, broken sections and major altitude shifts make hiking more challenging than it might look. Sturdy shoes, comfortable clothes, a walking stick and sunscreen are a must. 3. Bring water. Just like hiking in the mountains, bring water. It gets awfully dry up there. 4. Respect the history of the Wall. To preserve the Great Wall, strict policies of zero displacement are enforced. Do not pick flowers, graffiti the wall, pull rocks from it or engrave your initials on the wall. Common sense, here. Respect the Wall and the Chinese will continue to allow visitors. Ruin it and you ruin it for all. 5. Bring back-up batteries for your camera. So, I’m speaking from personal experience… I admit it. In the midst of time zone adjustments, thoughts of my daughter and concerns about health (smog), I didn’t think to charge my camera or bring backup batteries. Make sure you have everything you need to record your visit. Most people don’t get to go twice! Before I close this post, I must wish my sweet princess a very happy ninth birthday! We love you, Ellie! What a fantastic experience as just “you four” before you welcome Ellie into your family! Happy belated birthday Ellie! Good tip on the batteries – you definitely don’t want to miss capturing this once in a lifetime event! As the mom of a now 14-year-old daughter born in China, I share your happiness a thousand fold, Karen. Beautiful girl! Nancy, this makes me want to meet you even more! Where was your daughter born? 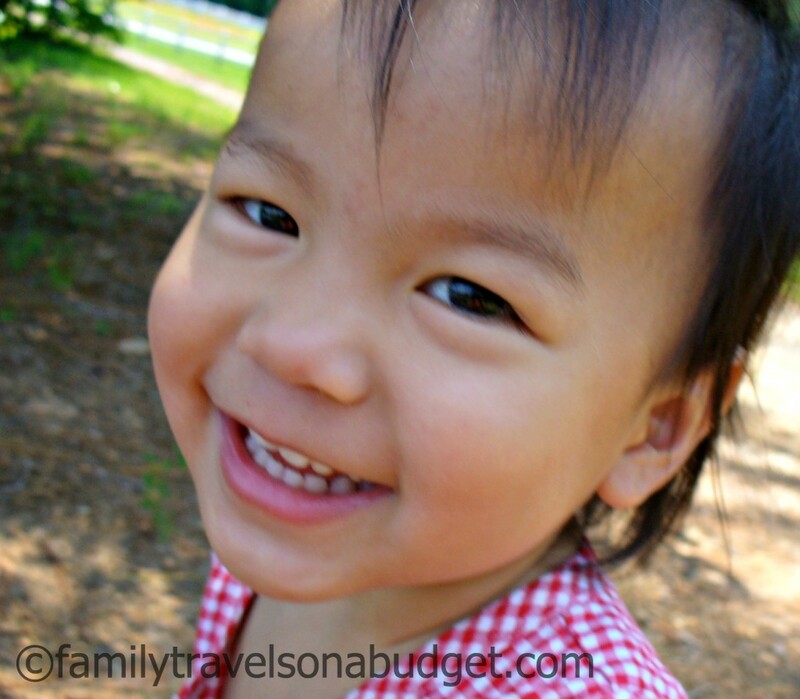 Ellie is from Yangxi in the Guangdong Province…. which means we had an easy trip, Beijing and Guangzhou. Big city love! Awww…. that explains so much! 🙂 Isn’t she the cutest thing ever???? Thanks, Slu! I appreciate that. I hope you get to conquer something amazing one day. Please visit often. 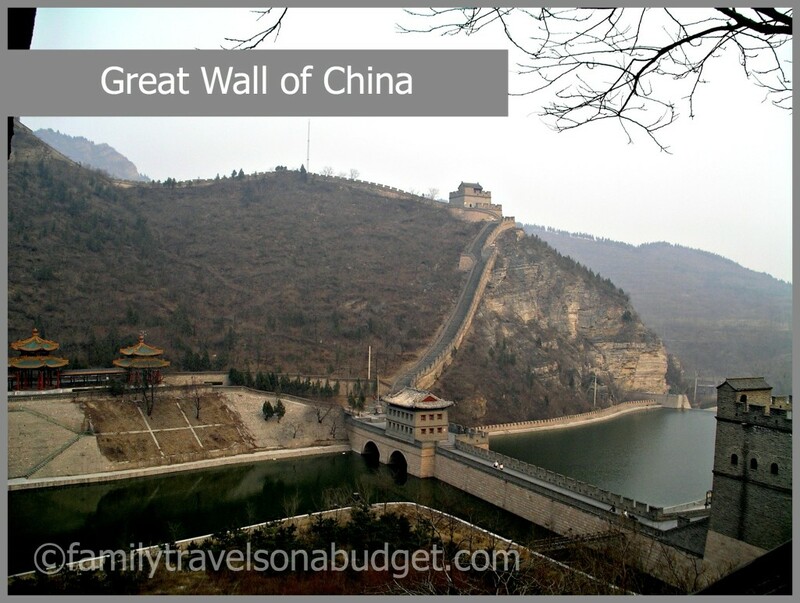 I have never really wanted to go to China…but now I want to climb the Great Wall!! I’d like to go back better equipped and more focused on the climb! My head definitely wasn’t into it that day — all I could think of was meeting my daughter and counting toes and fingers like any new mama! Awww, I’ll let her know!